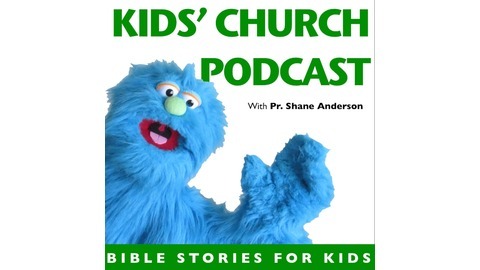 Kid’s Church Podcast Ages 4 - Adult Bible Stories & Commentary (Audio) Telling the “old, old story” in new and imaginative ways. 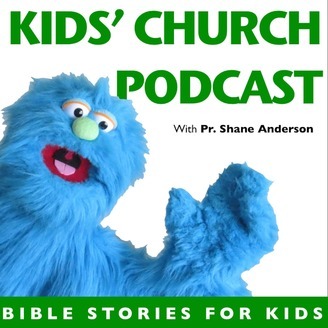 Join Pastor Shane and the zany and affable characters, Luke & Lisa, as they share your favorite stories from the Bible and come to understand their significance through child(ish) humor and imagination. Each episode features a Bible story and commentary that can be used in the home, at Sunday School, or as a pre-recorded script for your puppet ministry. Pastor Shane is an Ordained Minister in the Evangelical Lutheran Church in America and his passion is bringing Christ to people, and people to Christ through the proclamation of the Gospel. "For everyone who calls on the name of the Lord will be saved. How then will they call on him in whom they have not believed? And how are they to believe in him of whom they have never heard? And how are they to hear vwithout someone preaching?" -Romans 10:13-14 http://www.stjohnsguttenberg.com. Matthew 4:18-22 "Fishing For Fishers"
Genesis 11:1-9 "The Tower Of Power Confusion"
Matthew 3:1-17 "Bath Time For Jesus"
Acts 2 "Hot Sauce For Pentecost"
John 12:1-8 "Jesus Has Stinky Feet"